And still all Jews who reject Christ are liars (Rev. 3:9) and are “enemies of the gospel” (Rom. 11:28) — and Christians should “beware of the leaven” (teachings) of modern Judaism (Mark 8:5) Jews of Israel Talmudic Judaism are mostly evil and corruptive and therefore even now really cannot possibly beany longer God’s chosen people. There are dozens of clearest warnings to the ancient Hebrews that they cannot enter the land except in obedience and that if they are rebellious God will throw them out? Or that, once in exile, they can never come back except they obey? And Galatians 3:16 Now to Abraham and his seed were the promises made. He saith not, And to seeds, as of many; but as of one, And to thy seed, which is Christ. Galatians 3:26-29 For ye are all the children of God by faith in Christ Jesus. For as many of you as have been baptized into Christ have put on Christ. There is neither Jew nor Greek, there is neither bond nor free, there is neither male nor female: for ye are all one in Christ Jesus. And if ye be Christ?s, then are ye Abraham?s seed, and heirs according to the promise. 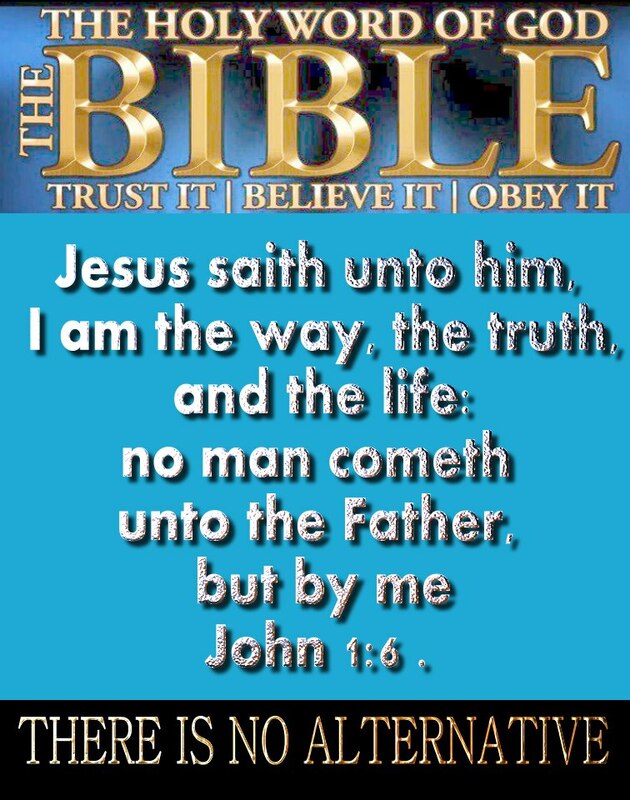 John 1:6 Jesus saith unto him, I am the way, the truth, and the life: no man cometh unto the Father, but by me. The Fundamental Dispensationalists Christians are the still biggest false supporters of Christian Zionism today and are also still one the biggest haters of the full work of the Holy Spirit, biggest opposition to the Full Gospel and not surprisingly even today too It is interesting here that many expositors falsely leave out the holy spirit in the definition of a Christian, very likely cause they do not even not him and are not holy spirit filled. Nor can you basically see the evidence of the Holy Sprit, his operations, gifts in their lives.. a real close examination will reveal it is simply not there.. so they really are still not real Christians. Now the Holy Spirit’s presence is from the first chapter of Genesis to the last chapter of Revelation. The Holy Spirit is not new to the pages of Scripture; He plays a vital role in God’s plan of redemption, from creation to eternity. In Genesis 1:2, the Spirit of God, the Holy Spirit, hovered over the formless void of creation. In the last chapter of Revelation, the Holy Spirit invites humanity to partake in God’s redemption (Revelation 22:17) The Holy Spirit, along with the Son and Father are co-equal, or One God in Three Persons, sharing a single Divine essence or being. The term coined to describe this relationship is Trinity, although the word Trinity is not in the Bible, the term best describes the nature of the Father, Son and Holy Spirit. One God, revealed in three persons.. Both Old and New Testaments testify to the divinity of the Holy Spirit, that He is not merely a force of God, but God Himself. AND IF YOU ARE NOT baptized WITH THE holy spirit YOU ARE REALLY NOT A CHRISTIAN. We rightfully are Christians and not Jews , we obey Jesus Christ and not the rules of Judaism.Regardless or how ever, the liars cannot neglect the Holy Spirit filling as being part of any Christian’s personal life; and is God’s only way of Salvation now too. And that was why the religious Jews tried to Kill even Apostle Paul and persecuted falsely all of the Christians, Apostles too. Yes the word “Christ” comes from Christos, a Greek word meaning “anointed.”. So, to be the Christ, it is to be “the anointed one of God.” This act of anointing also still emphasized that it was God himself who had filled the person with the Holy Spirit and had ordained the person , and equipped them him power and authority to act as his representative. The Apostles and early Christians may have attended the Synagogues from the first but they all clearly next had abandoned them as they all gave up Judaism, and their Jewish faith, they now next did not go to the Synagogue anymore and started their own home meetings house to house.. . In the eyes of God, who shows no partiality, both Israel and Palestinians are both equally guilty of murder… never mind the false justifications; We cannot basically support either side as totally in the right now too. The New Testament Scriptures makes it now certain that the national restoration of Israel after the flesh is not a part of the revealed will of God, but that the reverse is true. God regards natural Israel earthly kingdom with utter detestation, and He will never restore it, Next when John the Baptist preached to the Jewish people, saying, “Repent, for the kingdom of heaven is at hand,” he was not announcing the setting up again of the earthly throne of David for Israel as many Jews, some professing Christians falsely hoped, believe it would happen again. It is unbelievable, undeniable that the professing Christian people who do not know the Bible can be so easily deceived, led astray too by many others, bad pastors and Jewish persons, Zionists included.. “Not one verse, prophecy in Scripture promises exist in the New Testament too that unbelieving Jews can occupy God’s holy land in unbelief. Not one verse, prophecy clearly says that God will allow an unbelieving nation of Jews into Palestine and convert all of them later. The Messianic Jews law teachers, false law enforcers, false teachers also now too that have existed even in the first churches rather they are so falsely convinced of the importance of their mission of now even imposing the Mosaic law on Gentile believers that they tend to have no time or interest for, and they do not lift a finger to help carry, the burdens of the Christians. Instead of loving one another, these false zealots for the law even now do Provoke us, too often bash us, even hate us. Matthew 7:16 Ye shall know them by their fruits. Do men gather grapes of thorns, or figs of thistles? … 20 Wherefore by their fruits ye shall know them. I TALK TO THE PEOPLE I LOVE IN LOVE TOO. Dealing with the difficult people, tough personalities can make you feel powerless. What can you do if being really jerk or your colleague is criticizing your posts? You can improve the situation by doing three things for a start: Pray, keep on talking to the persons, pray some more, remove the persons from your life as much as possible, in that order now too: Now do people really treat us the way we treat God? or are they really persecuting us because they are not of God? (John 7:7 KJV) The world cannot hate you; but me it hateth, because I testify of it, that the works thereof are evil. Father in Jesus name I pray that you… now, today here will destroy all the works, influences, results, acts of the devil and place now your love here rather.. give them the grace to repent and say I was wrong, I am sorry.. I AM OF THE RIGHTFUL OPINION THAT EVERYONE EVERYDAY, ALWAYS HAS TO BE 100 PERCENT SOLD OUT TO GOD, MY LORD JESUS CHRIST and none of this is optional..
And one cannot hold on to any false, pet doctrines, pet goals, personal desires, for still doing anything one ‘s way is realy bad and leads, will lead to loads of personal problems, hardships as well now.. for if you give the devil even one inch of your life he will take ten thousand miles of it next still too..
All Persons not fully sold out to God cannot expect all of their prayers, needs now to be answered, supplied. Love God and love others, all others will fall into their place.. JESUS CHRIST IS THE MASTER KEY AND NOT PRAYER ALONE. Prayer still will only work for you if you have no unconfessed major sins in your life. Posted on April 30, 2012 February 15, 2013 Categories Christianity, family, Religious discussions ChristianityTags Christian Blog, Church, Deacons, elders, Faith, god, Holy Spirit, Jesus, Jesus Christ, life, pastors, peace, relationships, religion, Theology2 Comments on I TALK TO THE PEOPLE I LOVE IN LOVE TOO. In one city I had been to every church I went to was great, but in another city every church I went to was bad and why was that now? it took me a while to next figure out what was wrong with a close, personal friend of mine, an evangelical pastor, and also with his associates now too in one of our local churches now too.. for he often had some of the right sounding words.. but some how I knew something was always obviously basically wrong.. it even was the fact he clearly was always now concerned about the Basics of life: food, clothing, shelter, job, image and too often rather.. their concern for having better material things… Hirelings or prostitutes to me it means the same thing.. sadly the last 12 pastors I had personally encountered where now hirelings! It is not too long of a time when one hears in life negative criticisms about even the Church of Jesus, Christ, or the pastors, or the church elders.. and while we are all still to keep our eyes and ears open we all now can avoid the great disappointments if we firstly still do go to a Church to discover, to get to know God firsthand, and not rather to know better the preacher, or the elders, or the denomination. When I seek God I find him and he does not fail me or disappointed me. PEOPLE ARE LAZY AND WANT AN OVER SIMPLIFIED RELIGION, GOSPEL, BIBLE.. AND 95 PERCENT OF THE CHRISTIANS EVEN NOW DO NOT READ THE BIBLE FOR THEMSELVES FOR MORE THAN 5 MINUTES A DAY, SO THEY BELIEVE MOSTLY WHAT OTHERS HAD SAID ABOUT THE BIBLE. Mostly distortions, lies, heresies too.. ALMOST ALL CHRISTIANS DO HAVE TO STOP LISTENING TO WHAT THE OTHERS SAY THE BIBLE SAYS AND TO RATHER NOW START TO KNOW, READ THE BIBLE THEMSELVES. OTHERWISE THEY WILL BE STILL IN GREAT ERRORS..
NOW THE BIBLE CLEARLY SAYS THERE ARE TRUE AND FALSE APOSTLES, PROPHETS, ELDERS, TEACHERS AND HOW TO RECOGNIZE THEM. By their behaviors..
“Having a form of godliness, but denying the power thereof: from such turn away.” 2 Timothy 3:5 “Is John MacArthur a heretic when he teaches the entire Pentecostal movement worldwide (over 400 million) is of Satan? Isn’t blasphemy of the Holy Spirit is when one attributes the gift of God to Satan? When MacArthur boldly teaches all speaking in tongues done today is demonic he has no idea of the consequences he’s facing! One thing for sure I have observed that where there are sheep now there are also many wolves, for where there are real Christians there are also the the pretenders amongst them now. today as well. The pretender, imposter, wolf in sheep clothing do now show up for all kind of reasons even to seduce the sheep. They masquerade a pastors,, assistant pastors, elders, youth ministers, Bible college students now as well. But a close examination daily reveals these pretender, imposter, wolf in sheep clothing really have not changed, they are self centered, unloving, tend to lack compassion and consideration for any others. Now sad but true.. too many false pastors, false teachers, false cults, false denominations with hidden agenda take advantage of this void and lead the professing Christian sheep astray next, helped by the devil in all of this too undeniably. Some people seem amazed that God can, and will now speak to his children, given the proper conditions being met, but me I am often amazed how is it that so many people cannot hear God, will not confess their sins now too.. Even all Jews and Zionists would do well to learn from the Biblical account of even the Apostle Judas.” When morning came, he called HIS DISCIPLES to him and chose twelve of them whom he also designated apostles: Simon (whom he named Peter), his brother Andrew, James, John, Philip, Bartholomew, Matthew, Thomas, James son of Alphaeus, Simon who was called the Zealot, Judas son of James, and Judas Iscariot, who became a traitor” (Lk. 6:13-16). Once he was one of the Apostles but next you can tell what he realy was by what he did, by his own fruits, theft and betrayals included.. ” Yea, mine own familiar friend, in whom I trusted, which did eat of my bread, hath lifted up his heel against me.” Psa 41:9 All four gospels identify Judas as the betrayer. The same Judas Iscariot also had left everything to follow the Lord. In modern terminology, he had ‘accepted’ Jesus as Lord Judas is a prime example of a ONCE CHOSEN believer who fell into absolute apostasy. For three years he followed the Lord with the other disciples BUT HE NEXT BECAME A TRAITOR, turning against Jesus Christ the Messiah, Judas quietly became a vile, tool of Satan WITH his heart gradually hardened became the false, treacherous man who had even sold the Savior even for a fistful of coins. He served as crooked treasurer for Jesus and the Apostles, which meant he carried the money bag. and abused it. John tells us that he was also dishonest and that he often stole money out of the bag whenever he wanted it. he objected so strongly to Mary (sister of Martha and Lazarus) pouring expensive perfume (nard) on Jesus’ feet. He said they should have sold the nard and used the money to help the poor. But what he really wanted was more money in the treasury so he could steal it. (John. 12:1-6); Judas clearly unlike the other apostles did not give up his Jewish heritage but falsely tried to hang on to it. ; He made the mistake that falsely looked towards a revived Jewish empire on earth. Judas next committed suicide even and he was next replaced as an Apostle of Jesus Christ. When I seek God I find him and he does not fail me or disappoint me. (Psa 69:18 KJV) Draw nigh unto my soul, and redeem it: deliver me because of mine enemies. (2 Sam 22:31 KJV) As for God, his way is perfect; the word of the LORD is tried: he is a buckler to all them that trust in him. (Job 13:15 KJV) Though he slay me, yet will I trust in him: but I will maintain mine own ways before him. (Job 15:15 KJV) Behold, he putteth no trust in his saints; yea, the heavens are not clean in his sight. (Job 15:31 KJV) Let not him that is deceived trust in vanity: for vanity shall be his recompense. (Psa 2:12 KJV) Kiss the Son, lest he be angry, and ye perish from the way, when his wrath is kindled but a little. Blessed are all they that put their trust in him. (Psa 5:11 KJV) But let all those that put their trust in thee rejoice: let them ever shout for joy, because thou defendest them: let them also that love thy name be joyful in thee. (Psa 9:10 KJV) And they that know thy name will put their trust in thee: for thou, LORD, hast not forsaken them that seek thee. (Psa 17:7 KJV) Show thy marvellous lovingkindness, O thou that savest by thy right hand them which put their trust in thee from those that rise up against them. (Psa 18:30 KJV) As for God, his way is perfect: the word of the LORD is tried: he is a buckler to all those that trust in him. (Psa 20:7 KJV) Some trust in chariots, and some in horses: but we will remember the name of the LORD our God. (Psa 25:2 KJV) O my God, I trust in thee: let me not be ashamed, let not mine enemies triumph over me. (Psa 25:20 KJV) O keep my soul, and deliver me: let me not be ashamed; for I put my trust in thee. 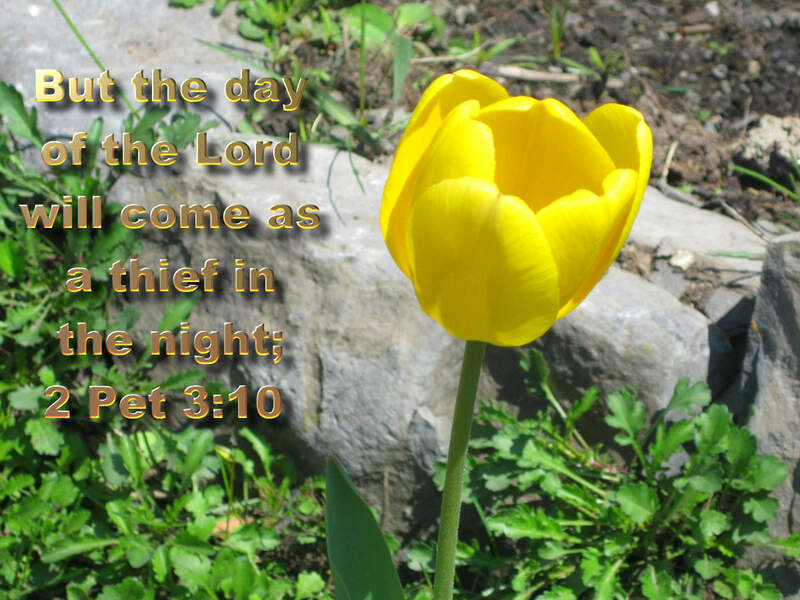 (Psa 31:19 KJV) Oh how great is thy goodness, which thou hast laid up for them that fear thee; which thou hast wrought for them that trust in thee before the sons of men! (Psa 34:22 KJV) The LORD redeemeth the soul of his servants: and none of them that trust in him shall be desolate. (Psa 44:6 KJV) For I will not trust in my bow, neither shall my sword save me. 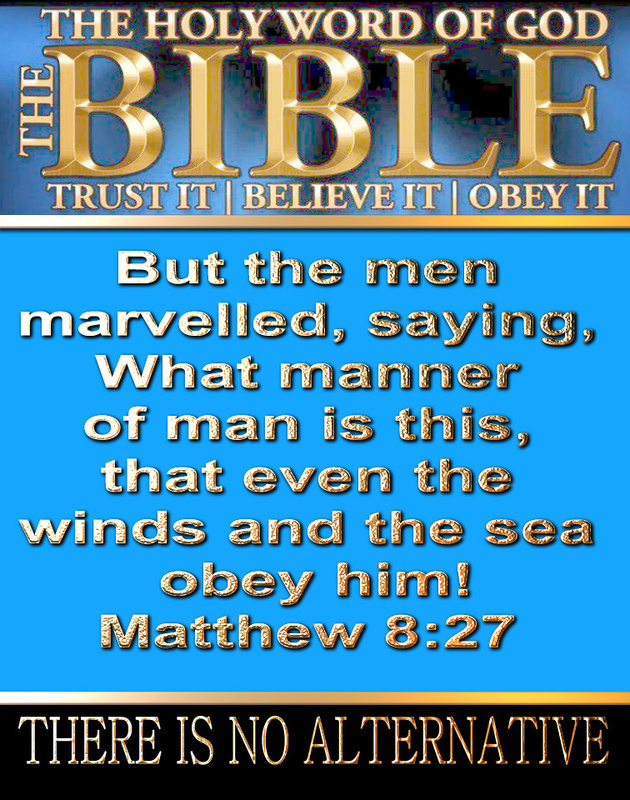 (Psa 52:8 KJV) But I am like a green olive tree in the house of God: I trust in the mercy of God for ever and ever. (Psa 55:23 KJV) But thou, O God, shalt bring them down into the pit of destruction: bloody and deceitful men shall not live out half their days; but I will trust in thee. (Psa 61:4 KJV) I will abide in thy tabernacle for ever: I will trust in the covert of thy wings. Selah. (Psa 62:8 KJV) Trust in him at all times; ye people, pour out your heart before him: God is a refuge for us. Selah. (Prov 30:5 KJV) Every word of God is pure: he is a shield unto them that put their trust in him. (Isa 31:1 KJV) Woe to them that go down to Egypt for help; and stay on horses, and trust in chariots, because they are many; and in horsemen, because they are very strong; but they look not unto the Holy One of Israel, neither seek the LORD! (Isa 42:17 KJV) They shall be turned back, they shall be greatly ashamed, that trust in graven images, that say to the molten images, Ye are our gods. (Isa 50:10 KJV) Who is among you that feareth the LORD, that obeyeth the voice of his servant, that walketh in darkness, and hath no light? let him trust in the name of the LORD, and stay upon his God. (Nahum 1:7 KJV) The LORD is good, a strong hold in the day of trouble; and he knoweth them that trust in him. 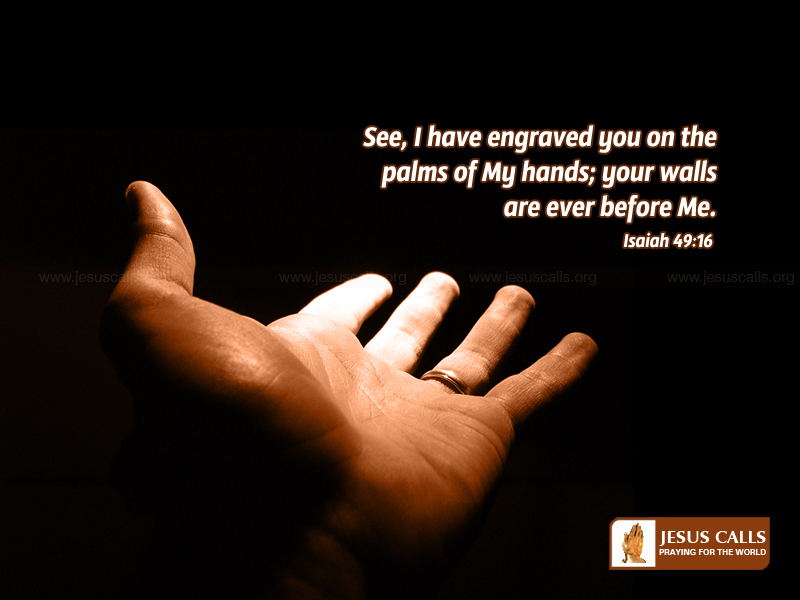 (Heb 2:13 KJV) And again, I will put my trust in him. And again, Behold I and the children which God hath given me.